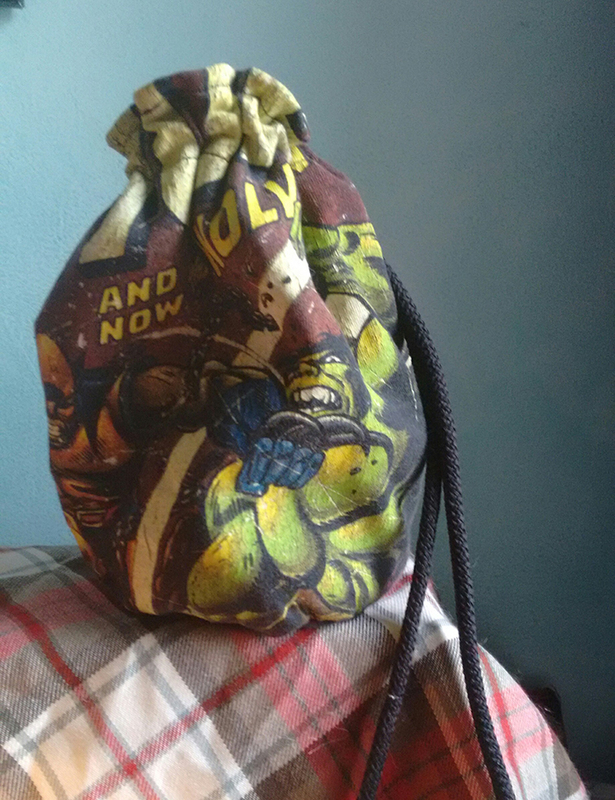 My husband put in request for some dice bags recently. I went online to look at patterns and different ways of making them, and read through a few tutorials. I’ve made enough bags of various sorts that I can visualize how it needs to be done, I really just need a general size and functionality. I thought I’d wait and buy some fabric for the task, maybe something gamey or geek related. 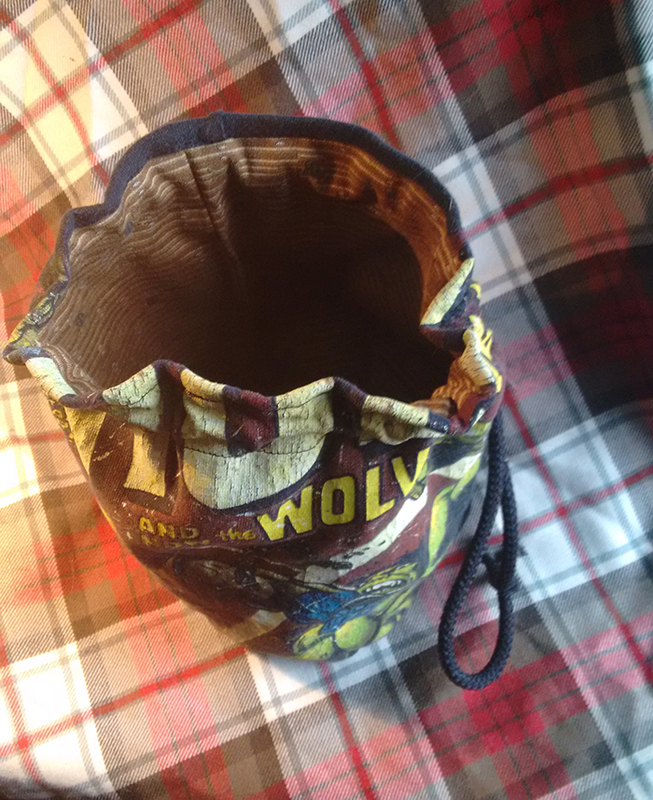 Then last week I was about to throw out a t-shirt that had some holes in it, and it was suggested that I turn that into a bag. It’s lined with upholstery fabric to make it a little stiffer.